This guide will help you to plan a successful Casino Theme Party in ten steps. Download a free Casino Party Planner. Casino Party Budgets range from $25 to $100 per person, depending on location, food and beverage, and decor. Food will often comprise 40% of the budget, with 40% allocated to the Casino Vendor, and the additional 20% allocated to facility rental, entertainment, prizes, and decorations. These amounts will vary depending on your organization's preferences. This first step is critical to the success of your event. You want to make sure your casino party vendor carries professional looking equipment and not just table toppers (layouts that sit on top of a banquet table). In addition, the vendor should have at least 8 - 10 years of experience and should own their equipment. There are many newcomers to the industry that just imitate their competitors, and don't have the experience to run a proper event. Qualified casino vendors will be able to give advice on table and prize selection. Some vendors will give a few choices in renting the equipment, such as full service (providing everything, including the dealers), limited service (providing the tables and a Pit Boss and they would train your volunteer dealers), and table rental only. The date of your event may be determined on the facility and vendor availability. Often this step is planned months in advance, especially if it's a popular time of the year (such as the first two weeks in December). Most casino parties will last for about four hours, with about 3 hours of actual gambling time and the rest for food serving, cashing out at the end of the night and prize giveaways. The number of tables you select should be based on the number of attendees expected. Most casino planners expect 65% of guests playing at any given time. The other 35% will be watching, eating, enjoying the entertainment, or socializing. 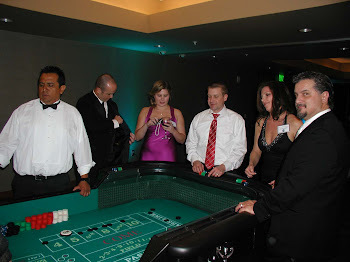 Your casino vendor will be able to make a recommendation on the types of tables needed for your sized event. 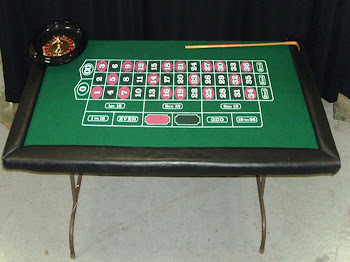 Once you've decided on the theme for your casino party it's time to get creative. Invitations, decorations, costumes, food, party favors, and entertainment should all fit the theme chosen. Even the play money handed out to guests could match the theme of your casino night event. Most often, the food at casino parties is served buffet style. Some events will have a sit-down dinner and then move to the casino party area. Space is often a consideration when planning the food and beverage selections. You need to plan for lines (sometimes long) at the buffet and bars. The bar may be either an open or a cash bar. Many events will supply one or two drink tickets to all attendees, and then have them pay for any additional drinks. 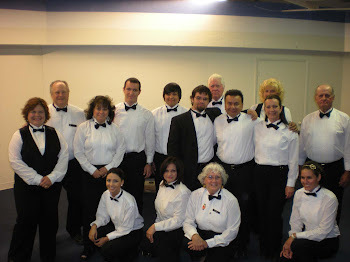 Often, the casino vendor will be able to recommend a good caterer, if needed. The most popular entertainers at casino parties include DJ's, Magicians, Fortune Tellers, and Caricature Artists. A DJ, while not necessary, will be able to make any necessary announcements. Magicians will often be able to perform strolling magic, and demonstrate gambling sleight of hand. Fortune Tellers are always a popular choice of entertainment. The Caricature Artist will provide a keepsake for your attendees. The number of prizes to be given away is often based on the number of attendees, in addition to the budget supplied. Often, many organizations may have donated prizes from their vendors or members. 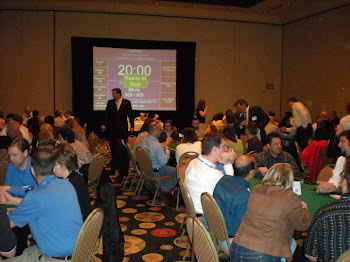 Many of your attendees will be very competitive at the gambling tables, competing for the best prizes. A nice Grand Prize will attract more attendees to your event. There are two ways that prizes are given away at casino parties - raffles and auctions. With the raffle method, typically, attendees are given one raffle ticket for a certain amount (such as $250.) in either chips or play money held by the player. For example, if a player has $1,000 in chips at the end of the night, they would receive 4 raffle tickets with the example above. The auction method would have the dealers add up the total amount won by each player, and then an auctioneer would then begin to "sell" the prizes. post more of this. Have Great Day.